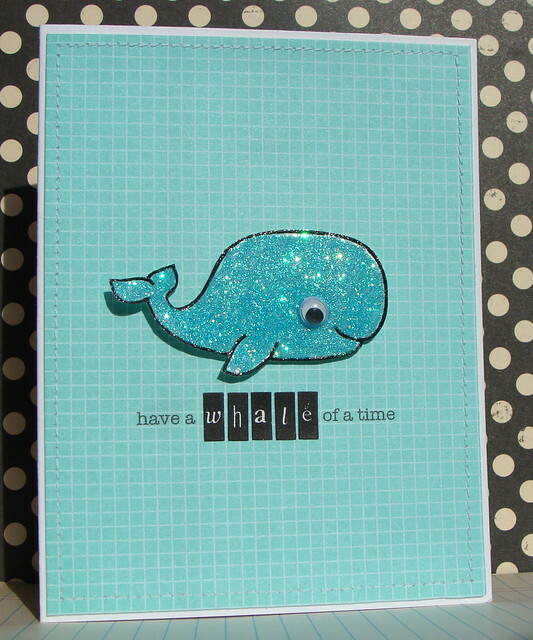 Loving the simplicity with that beautiful sparkly whale, way too cute! Just adorable, Lucy! Love your beautiful, shimmery whale! It always makes me smile when you use glitter! She's a beauty! Love all the glitter love, very cute whale! Love your fun glittery whale! Sooo cute! Love the glitter! Wow, I need to make a birthday card today and I think I know just what I'm gonna do. Thanks for the inspiration. That whale is adorable! 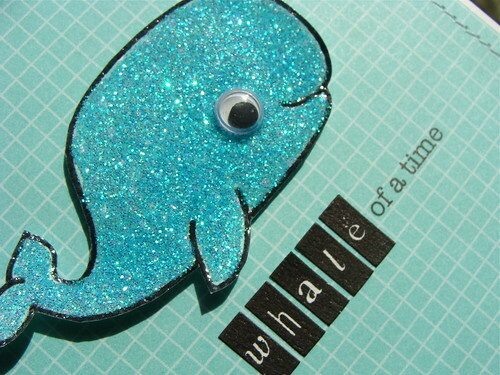 Love this whale glittered, adorable card. So whimsical and just plain adorable. Love the sparkly whale. really really cute,love it ! Lovely card. Such a friendly whale. How cute is this!!!! Love the simplicity of it!!! Love the glitter on yours! So, so cute! I always love googly eyes, lol! Love your bling-y whale! Too cute, Lucy! Simple perfection, this is gorgeous! Oh wow Lucy, love what you did do with the whale. What a super idea. Love it. I love the glittery whale! love the glittery whale. so cute! So cute and glittery... love him, Great card. Love this one too. Great job on your trio projects.